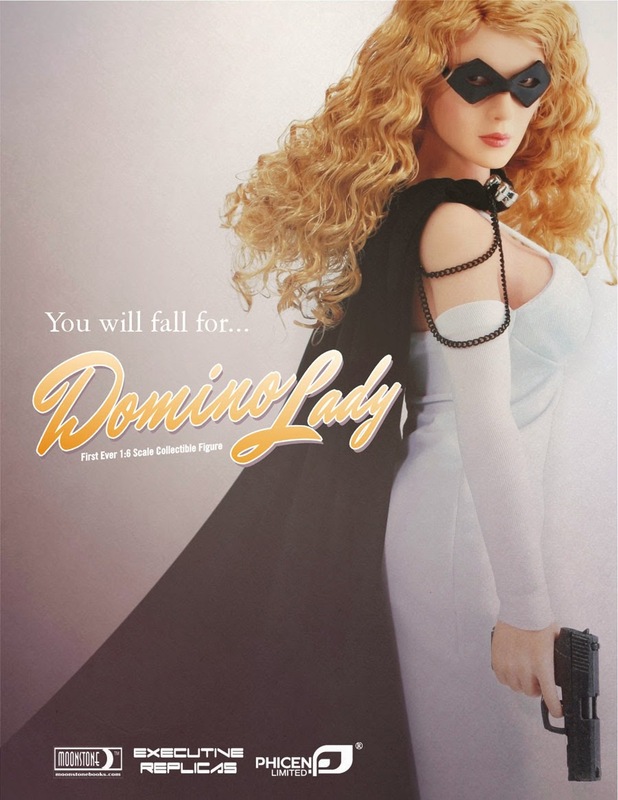 Created by "Lars Anderson", The Domino Lady is a masked pulp heroine first appearing in a 1936 issue of Saucy Romantic Adventures. 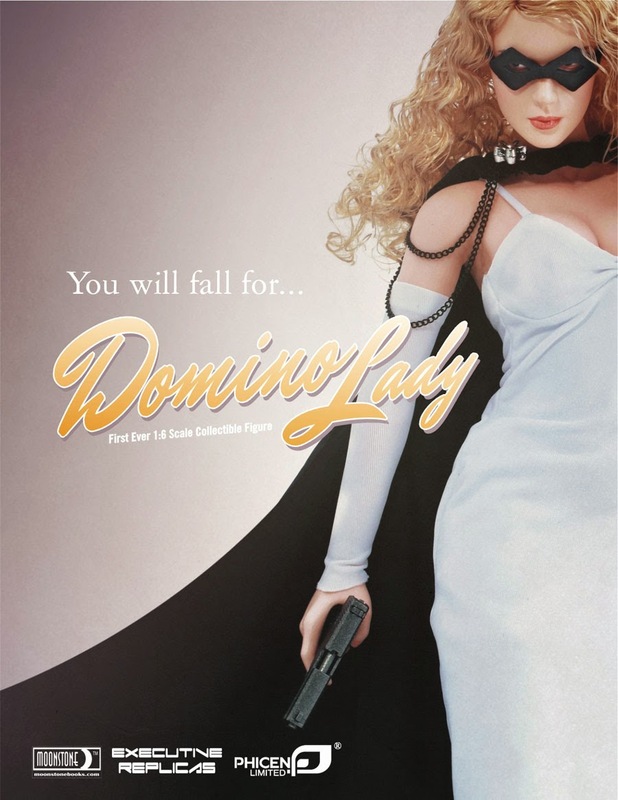 The Domino Lady is really University of California, Berkeley-educated socialite Ellen Patrick. 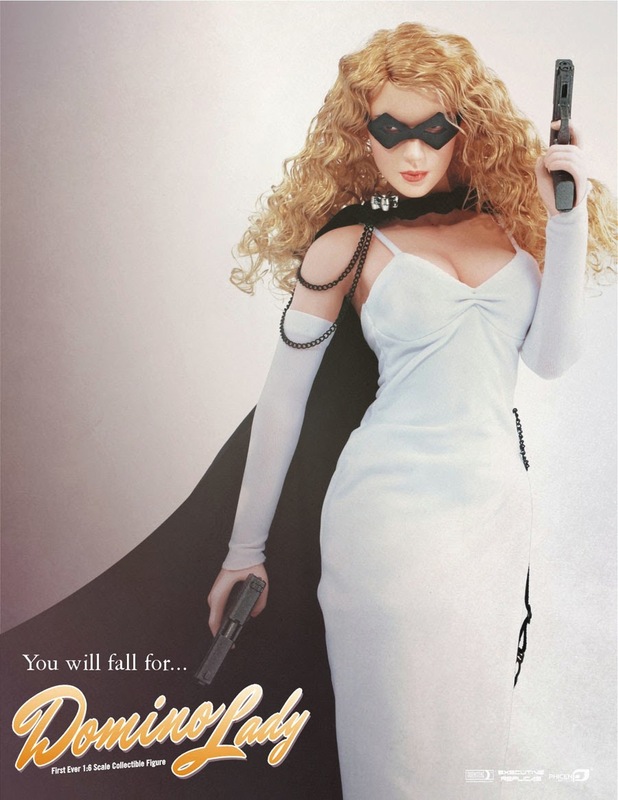 When her father, District Attorney Owen Patrick, is murdered, she puts on a domino mask to avenge him. 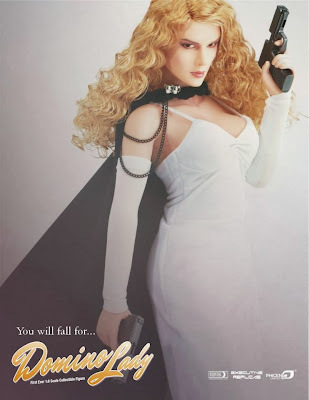 She is armed with two .45 pistols and her beauty. The Domino Lady charms, outwits, and allures her adversaries. She is known for stealing from her targets and donating the profits to charity, after a modest cut for herself), and leaving a calling card that reads - "Compliments of the Domino Lady"
Executive Replicas and Phicen are proud to present the first ever 1:6 scale figure of this sultry siren known as... 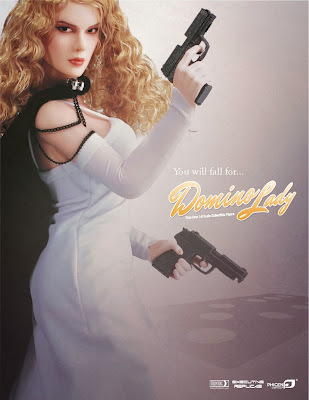 The Domino Lady.